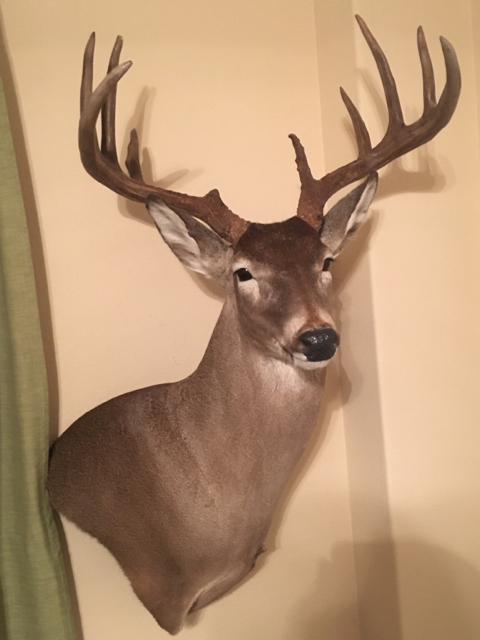 Over the past couple of years, two buddies had been constantly trying to convince me to start bow hunting, and I was somewhat hesitant at first. I had always enjoyed deer (rifle) hunting, but I think it was more for the comradery and being outdoors. I took the plunge last year and bought a bow. The first time in a bow stand, a huge pig (an embarrassingly large target) comes out and I shoot right over it. Obviously, that was a sobering experience on how you can't just pick up a bow and excel at it. I did love being that close to the animals and the thrill that comes along with it. Then, I go to a lease in Junction and get a couple doe kills under my belt and begin to feel more confident. About a month or so later, I get an opportunity to shoot a management deer at my buddy's lease in Carrizo Springs (which would be the biggest deer I have ever shot). He shows me my deer on camera and tells me that he is always showing up there. Sure enough, the deer comes out within 15 minutes of me being there. Standing perfectly at 25 yards, I wound the deer. As most of you probably know, that is probably the worst feeling a deer hunter can experience. Fortunately, a couple weeks later my buddy sees him alive and well. For the remainder of the regular season, I shoot a javelina with my bow. 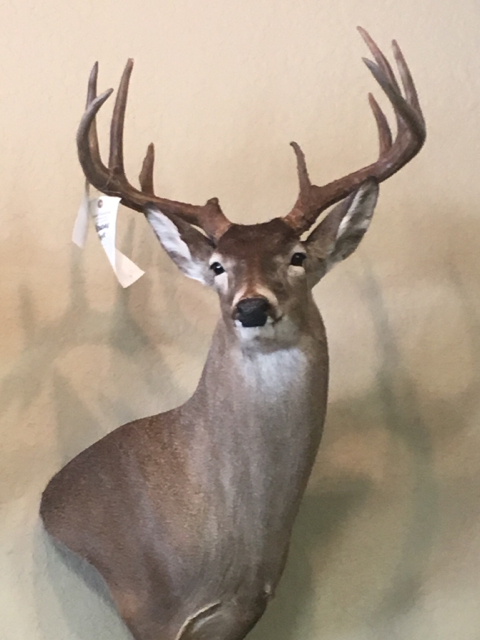 Thinking I am done for the year, another buddy invites me to his girlfriend's MLD ranch (season lasts through February) as they have a few 160" deer that need to go (crazy, I know). Obviously, I am ecstatic and extremely nervous about wounding another deer. I practiced every night after I got home from work. We get down to their ranch in Encinal Friday night. I really wanted to make sure that if I got shot it was either the morning hunt or early in the afternoon hunt to provide enough time for tracking. A shooter does not come out Saturday morning. We sit down in the pop-up for the afternoon hunt, and a shooter comes out around 4:30. The deer is not concerned with us at all. I draw on him at about 20 yards and he begins walking off. My buddy grunts at him, and he takes off. Sure enough, he comes out about 30 minutes later only to be ran off by a cow. At this point, it is getting pretty dark and there are two pigs at the feeder. I decide to shoot a pig, not thinking I would get another shot at that deer. And not 30 seconds after I shoot the pig, my buddy sees my deer walking up to our right. He comes in right at 20 yards and I was able to put a great shot on him. He ran about 40 yards and dropped. He scored 163 1/4. Thank you to Mickey (Gander) and Brock for convincing me to buy a bow. I am hooked! Congrats on the first of hopefully many! Wow. Congrats and welcome to the best addiction on the planet! Hunt In: no where currently!!!! Congrats that's a fantastic buck!!!! Fantastic deer! Congrats and thanks for sharing. Man, what a great buck!!! Man what great friends to have! You set the bar pretty high on your first one! that is a great first deer. My first buck was a yearling spike!!!!! Congrats on your kills. Keep shooting, shooting, shooting but there is nothing like being in the moment and making it count. I shoot all the time in my backyard and am much more confident than I was at the time of this hunt. Going on my first axis hunt next week! That is a stud! Congrats! Thanks. Can't wait to get him back from the taxi! Nice write up and great shot on that buck, he'll be hard to beat next year! Taking a poke with a smoke pole is fun by all means but hunting with a stick is where it's at. Great buck , keep fletching them. Awesome story!! Thank you for sharing.